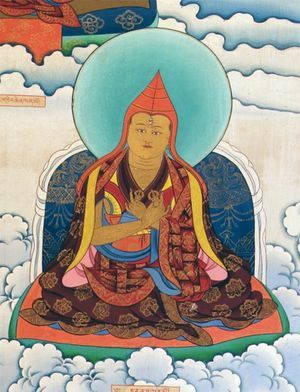 The Indian Version of the Life of Guru Rinpoche (Tib. སློབ་དཔོན་པདྨའི་རྣམ་ཐར་རྒྱ་གར་ལུགས་, lobpön pemé namtar gyagar luk, Wyl. slob dpon pad+ma'i rnam thar rgya gar lugs) is a biography of Guru Rinpoche written by Taranatha in 1610. It is included in the Rinchen Terdzö. This page was last edited on 18 January 2018, at 20:56.